To center our discussion, this is a toxic review of Head & Shoulders Clinical Strength Dandruff and Seborrheic Dermatitis Shampoo, a product aimed at a specific condition. It is touted to be as strong as possible without getting a prescription. The negative ratings for Head Shoulders Clinical Strength Dandruff Shampoo were 10%. Much higher and we suggest customers service sits down with the marketing group to look at improving the product. A common complaint was the smell, the lingering smell. While we find that surprising since the ingredient list used “fragrance” to hide what was used to affect the smell. Normally that is code for some really bad fragrance chemicals. More Information. So it looks like Head & Shoulders tried to address an aroma issue. 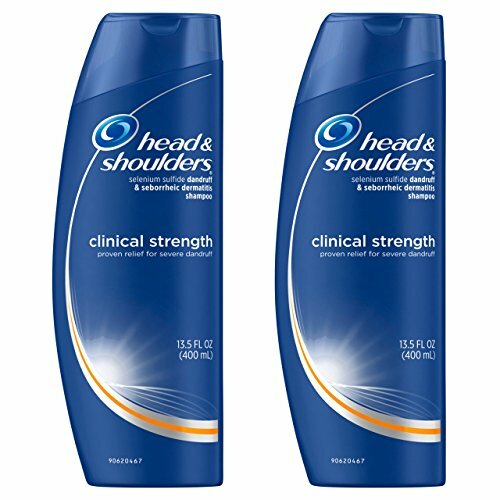 Another complaint thread of Head Shoulders Clinical Strength Dandruff Shampoo concerned the strength and skin sensitivity. If you look closely at the ingredient scoring below, that complaint is probably one for the marketing department. There is a seemly abundance of ingredients with concerns of skin issues. Which brings us to our last point, “it’s too strong”. At this point, we have to remember the purpose of the shampoo, treatment for Dandruff and Seborrheic Dermatitis. It is not intended to be a general-purpose organic natural shampoo. So we expected some strong stuff. First, the no to low Health Risks ingredients. The longer the bar, the less risk, or the more healthy the component. Long green bars are good. Now we switch to some of the bad stuff. In this measurement, long red bars are bad. They are going to be red in color, so the shorter, the better. And the Ingredient Health Score Is? Fragrances can hide a lot of bad stuff, a lot of Toxic 12 stuff. That is why BeHealthyBeMore.com mandated our scoring formula to give hidden ingredients a full 10% health score deduction. Showing the fragrances might have made the score a much nicer 7.5. But when we deal with our health do we really want things hidden from us? SLS, may or may not be underscored, depending on your belief of the connection between SLS and cancer. That is a huge debate right now with some heavy hitters supporting the NO group. With the SLES, a primary concern is the possible manufacturing contamination with Dioxane which may or may not happen. If SLES is contaminated with Dioxane, it more than doubles the health threat. We can not tell unless each and every sample batch is tested. For now, while we research the topic further, we feel it better to stick with the accepted Deep Skin Database and keep the current health threat scoring. We rated Head Shoulders Clinical Strength Dandruff Shampoo at (4 / 5) . No, it is not the healthiest product, but it is above the 50% mark with a large segment of people getting benefit from the product. We recommend you look for a less toxic option and see if that fits your needs. I know BHBM will be. For now, you know some of the risks, so you are in a better place to make an intelligent option. If you find a possible less toxic option, please contact us through our Contact Page. If you do not like or agree with our rating, please vote your rating in the SUMMARY section below. If you like our mission of helping to keep Toxicity out of your family’s lives and want a way to support our effort without cost to you, then please just purchase products through our links on this site. When you do, it helps us to keep up the energy and even the dreams of growing our efforts. Thanks for your consideration.